Helmets are safe, not fun. These helmets are safe and fun. 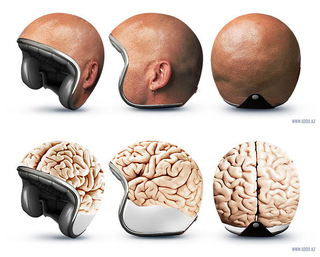 Channel your love for bald heads, brains, watermelons, bowling balls, butts, breasts, and more with these ridiculously designed helmets. Can you imagine seeing one of these on the road?